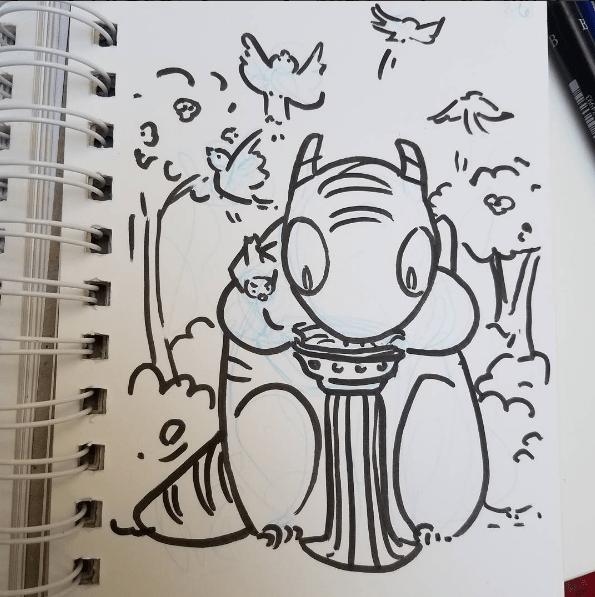 Similar to the annual #Inktober art tag, artists from around the world celebrated all things giant monsters with the #KaiJuly celebration. #KaiJuly is a portmanteau of kaiju, from the Japanese word for “strange beast,” and the month of July. The social media hashtag encompasses all posts celebrating the giant monster film genre and, most notably, highlighted the artists who presented daily kaiju illustrations and art pieces. Noah Cortez, creator of fancomic Godzilla: Kaiju Empire, made up the last 10 days of #Kaijuly2017 by grouping his favorite kaiju film monsters together. 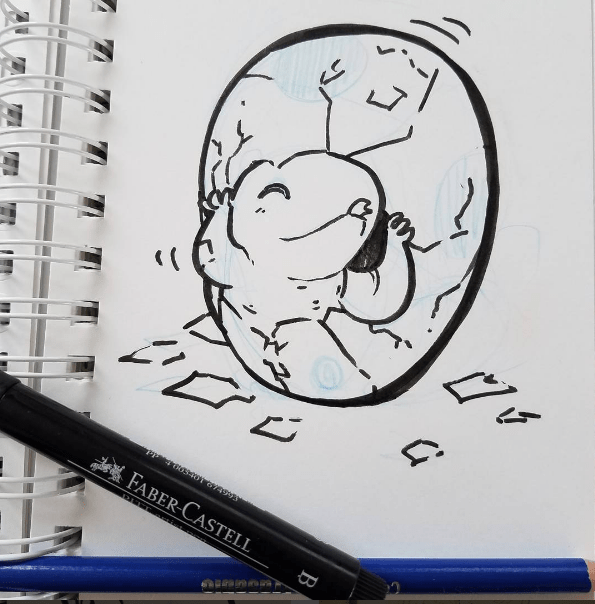 Missing Monday artist and creator, Elle Skinner, created an running narrative with her #KaiJuly2017 posts, starting with her kaiju hatching from an egg, then into full grown adventures. Elle will also collect and feature her #KaiJuly2017 pieces as a PDF ebook for sale on Gumroad, coming soon. Matthew Daley, Toronto based digital illustrator and kaiju enthusiast, designed a series of skateboard decks based on various kaiju attributes. Artist, Karen Luk, used traditional brush and ink for her kaiju art pieces and currently running a Kickstarter campaign to create a print compilation booklet for her #KaiJuly2017 illustrations. Lisa Naffziger, started her #KaiJuly2017 with the kaiju from the film Pacific Rim, and including the classic Ultraman franchise kaiju, such as Eleking and Zaragas, as well as other pop culture giant monsters like, Falcor from Neverending Story. It’s Friday and Mecha Ghidorah is here! 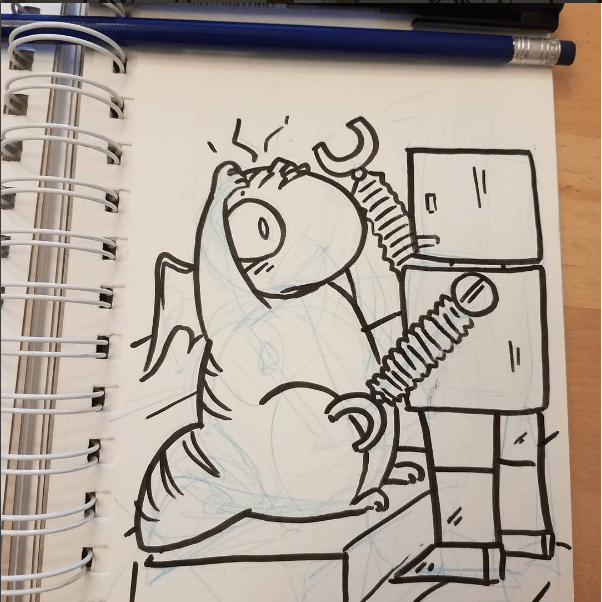 Spokane, WA based cartoonist, Matt Nelson, created his own kaiju, Mecha-Morgosaur! Kim Hu, an illustrator based in Hamburg Germany, created an ethereal fir forest to house his kaiju. Cartoonist, Joshua Sterling, created mini-posters and Cinemon cards for his own kaiju films. #KaiJuly posts not only included artists’ work, it also included other social media posts from tokusatsu and kaiju fans alike celebrating their love of the genre, such as photos of their favorite films, vinyl and articulated toy collections, and more. If you or an artist you know has a piece they would like to add to this list or to future Artist Features, please let us know in the comments below or you can use the submission box in the Contact Us page.